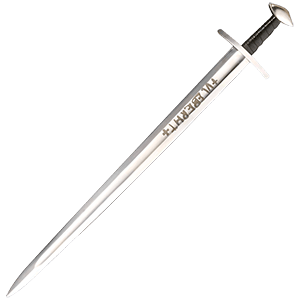 We offer an incredible range of swords, so you are sure to find a sword that suits your needs and taste here. In this category, we have organized our swords by name, by use, and by manufacturer to make it easier to find the sword for you. 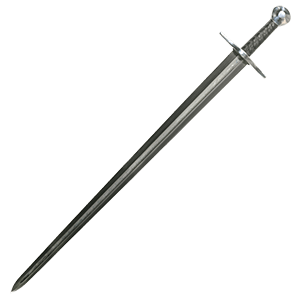 Our sword selection is expansive, ranging from swords used in the times of ancient Rome and Greece, the age of Vikings, and on through the medieval and Renaissance eras and beyond. Here you will find knight swords, Crusader swords, short swords, arming swords, long swords, and even musketeer swords. We have functional swords, decorative swords, and training swords for honing your skills. 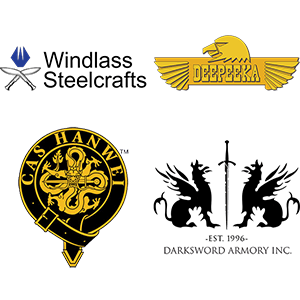 When you shop swords by manufacturer, you will find swords by well-known brands like Windlass, Cold Steel, Hanwei, Darksword Armory, and more. If you are looking for a sword of any kind, then you have come to the right place.